I just read an article in January 2014 issue of Coin World that discussed the history of the Kennedy Half Dollar. They spoke about the abundance of the coin. In fact, the mint had planned to mint 91 million halves in 1964 but because so many Americans were hording them, they minted another 50 million for a total of 141 million. One of the people in the article say that there's not very many of these coins graded and also that Heritage Auctions has "only" sold about 11,000 of them out of their 2 million total coins sold since 1993. 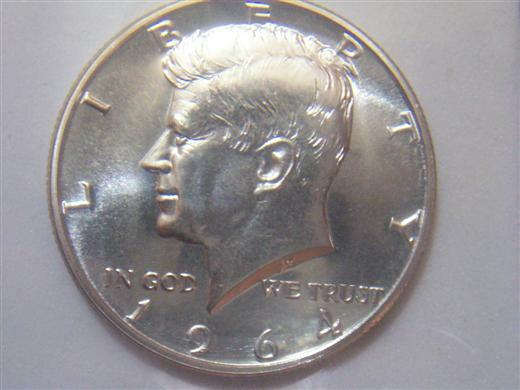 Well of course not many people have sent Kennedy halves to be graded as grading costs money and these coins are not rare and 50 years old at best. When I browse Heritage auctions, I don't usually see the 3 for $5 coins I find at flea markets. It's the [3.7 million dollar nickel] among others that end up on the auction block. Another quoted individual says that in the next 10 years, the value of the Kennedy halves will surely go up. Well I can't argue that there will be inflation and in 10 years, virtually everything will be higher in cost than it is now. However, with so many coins and so many horded in great conditions, I don't see how their values will rise. Especially with no new half designs on the horizon. The photo I used was posted by double mike and you can view the coin's datasheet here.